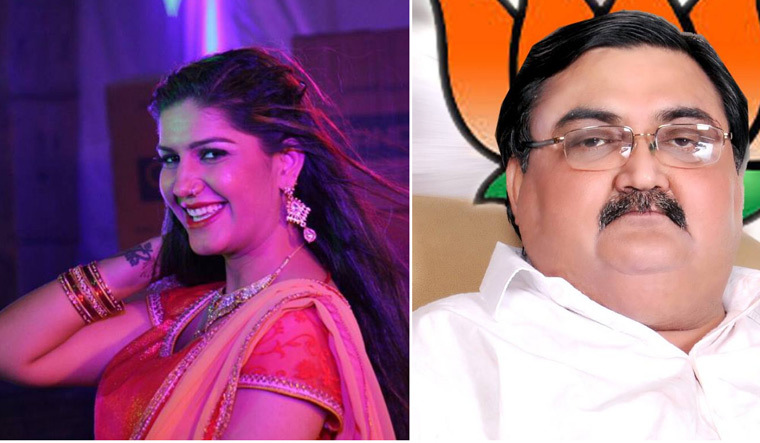 Pouring scorn on Haryanvi dancer Sapna Choudhary's apparent interest in joining the Congress, a BJP MP has said the opposition party must decide whether it valued winning elections or thumkas (dance moves). Ashwini Kumar Chopra, the MP for Karnal, was reacting to reports that Choudhary, a popular dancer, had visited the office of UPA chairperson Sonia Gandhi on Sunday. Chopra said, "Congress mein thumke lagane wale jo hain woh hi thumke lagayenge, yeh unko dekhna hai ki thumke lagane hain ya chunaav jeetna hai (Congress has people already who dance, and that's enough. The party needs to prioritise what they want to do: whether they want to dance or win an election)." Choudhary was unable to meet Gandhi. However, she told mediapersons of her keenness towards the Congress and Sonia Gandhi, which has raised speculations of her joining the party in the near future. On a related note, the Haryanvi dancer had made headlines after her appearance and dance moves on the reality show 'Bigg Boss -Season 11'. She was last seen in a dance number in the film Veerey Ki Wedding.